සමහර YouTube වීඩියෝ අප රට තුලදී නරඹන්නට නොහැකි වුනාට වෙනත් රට වලදී නරඹන්නට පුළුවන්. ඔබටත් මෙවැනි අත්දැකීම් ඇතිනේ. එක් එක් කලාප, රටවල්, භාෂා සහ ආගම් හෝ වෙනත් හේතුන් මත මෙලෙස වෙබ් අන්තර්ගතයන් ඉවත් කිරීම හෝ අවහිර කිරීම සිදු කරනවා. හැබැයි ‘Page not found’,HTTP 404 දෝෂ කේතය එම අවස්ථා වලදීත් දක්වන නිසා මෙවැනි හේතුන් මත ඉවත් කරන වෙබ් අන්තර්ගතයන් හඳුනා ගැනීමට හැකියාවක් තිබුනේ නැහැ. IETF (Internet Engineering Task Force) අවසානයේදී මේ සඳහා විසදුමක් ගෙන එන්නට කටයුතු කරලා තිබෙනවා. ඒ අනුව විවිධ නීතිමය ගැටළු නිසා අවහිර හෝ ඉවත් කරන වෙබ් පිටු 451, HTTP තත්ත්ව කේතය මඟින් දක්වනවා. මේ නිසා අන්තර්ජාලයේ විනිවිද බව තව දුරටත් වැඩි වෙනවා. මෙලෙස නීතිමය ගැටළුවක් නිසා අවහිර කල වෙබ් පිටුවක් පහත ලෙසින් දර්ශනය වේවි. HTTP/1.1 451 Unavailable For Legal Reasons Link: ; rel=”blocked-by” Content-Type: text/Html Page unavailable For Legal Reasons This request may not be serviced in your region because of the legal issues pertaining to this page. Page unavailable For Legal Reasons This request may not be serviced in your region because of the legal issues pertaining to this page. 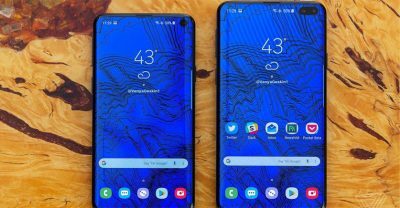 Samsung සමාගමේ මීළඟ දුරකථනය ලීක් වෙයි…? Planet Lab හි මීලග පියවර කුමක් වේවිද? ඇමරිකානු ජනපතිගේ ගමන් බිමන් ගැන අපූරු තොරතුරු 20ක් !